Make sure you save this post for later by hitting the button to save this to Pinterest. Today it seems that everyone is drinking Matcha green tea because this super trendy powder is packed full of health benefits. 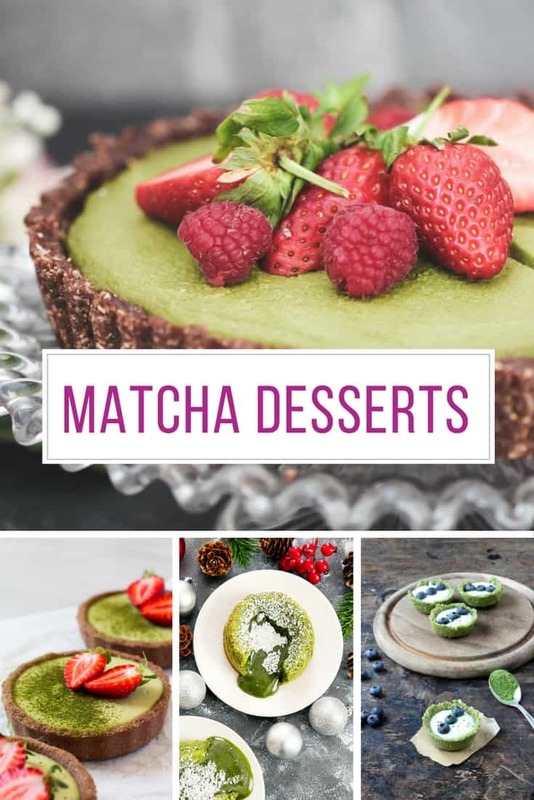 But if green tea is not really your thing fear not, because you can amaze your friends with one of these crazily delicious matcha desserts instead! 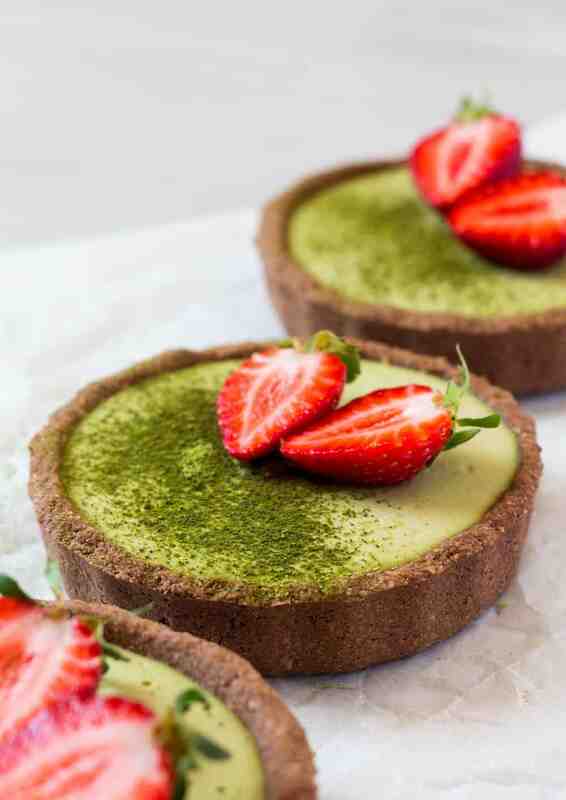 Whether you’re gluten free, dairy free or you’re just trying to give up refined sugar this matcha dessert is for you. These tarts are indulgent while being just the right amount of sweet. And they’re healthy too! 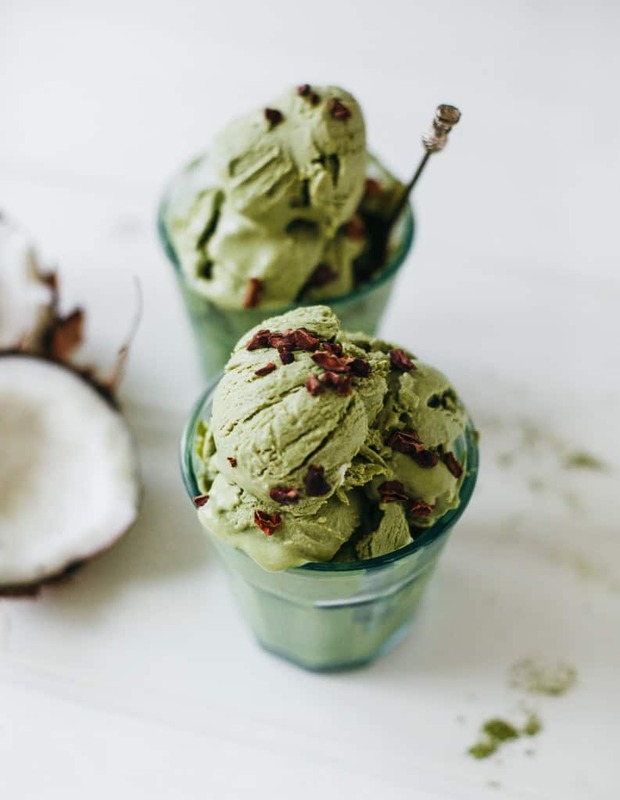 If you’re not sure of the taste of green tea then try this homemade ice cream, which lasts of vivid coconut with just a touch of Matcha. And you don’t even need an ice cream maker to whip up a batch. If you need some matcha powder you can find some here. 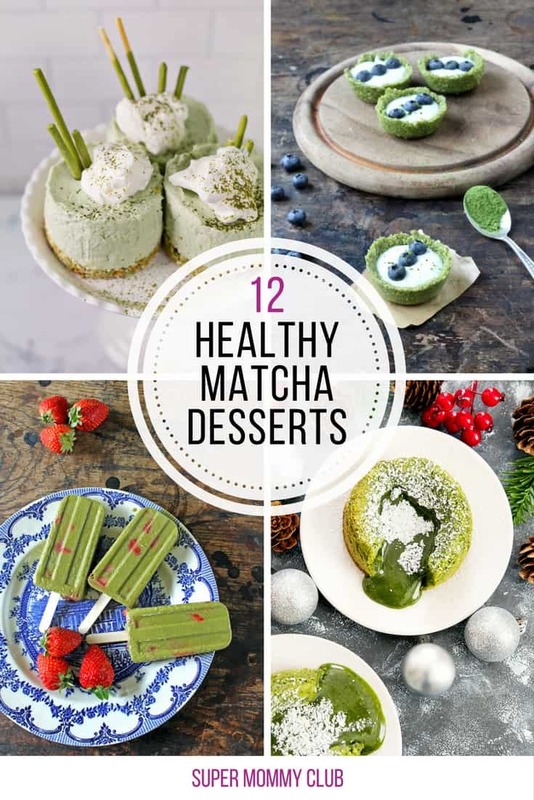 Did you know there are two different grades of Matcha green tea? The food grade is perfectly good for baking and cooking, and the ceremonial grade is meant to be for drinking but is less bitter making it perfect for baking too. 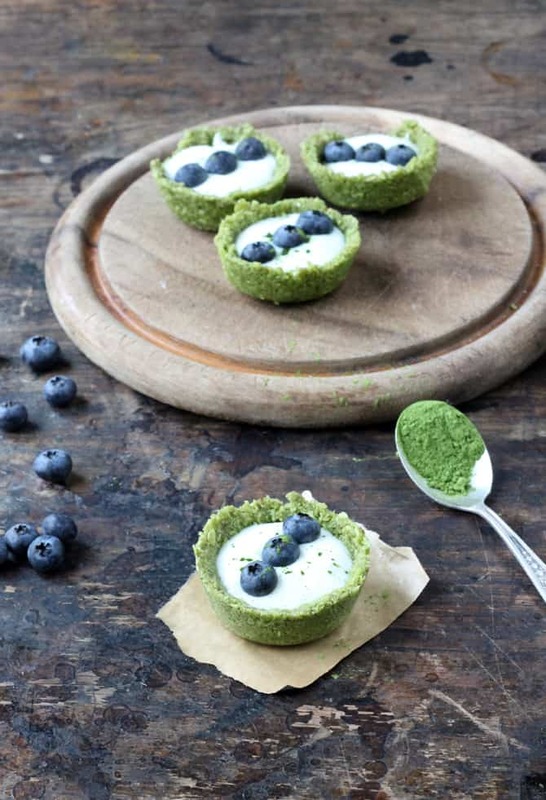 These delightfully green tarts are sugar-free but totally decadent and get the kid stamp of approval too! You can get ceremonial grade matcha here. Ok so this tea cake recipe doesn’t scream healthy since it has caster sugar, but you could always switch that out for a natural-sugar alternative. 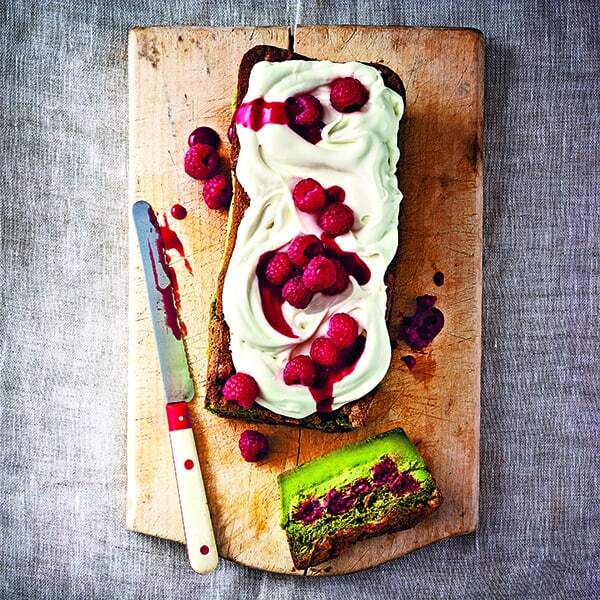 The vivid green inside is sure to be a talking point at your next play date or coffee morning! Easy Snacks for Kids to Make and They’re Healthy Too!